After trying Maybelline Color Show Glitter Mania Nail Polish in Starry Nights (Read my review HERE) I ordered all other 7 shades for me. 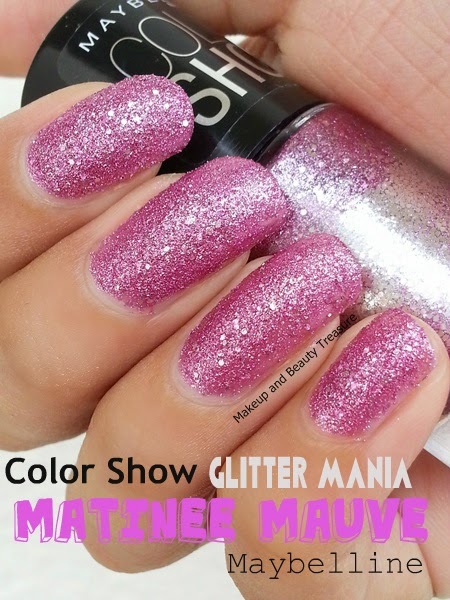 All the shades are super gorgeous and today I am going to review Maybelline Color Show Glitter Mania Nail Polish in Matinee Mauve. • Priding itself as India's first-ever textured nail paint, the Color Show Glitter Mania range is every nail-art lover's dream! When applied, these sparkling nail colors deliver a 3D shimmering effect, adding oodles of style to your tips. They also have a unique sand-textured effect that looks and feels great on your nails. With 8 glittering nail color shades to choose from, you're sure to find the perfect shade for every mood. I had already reviewed Maybelline Color Show Glitter Mania Nail Polish in Starry Nights HERE. Refer that post for the details regarding packaging, formula, pigmentation and finish. 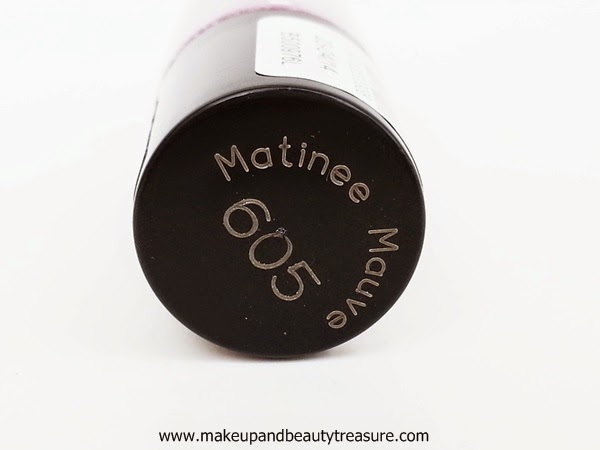 Matinee Mauve is a pink-ish mauve color with lots of silver glitters infused in it. It is definitely one of the prettiest pink-ish mauve shades I own till date! The shimmers make the color all the more pretty and create a beautiful textured effect. It looks beautiful on nails and in the bottle. It provides a lovely textured finish and is a true girlie color. It is a perfect shade for day and night parties and would look flattering on all skin tones. It definitely makes my hands look bright, classy and noticeable. I really got so many compliments when I wore this shade. It is quite pigmented and gives true color in two coats. It lasts on my nails for a good 4-5 days without chipping. I absolutely love its textured finish that is the USP of this nail polish! 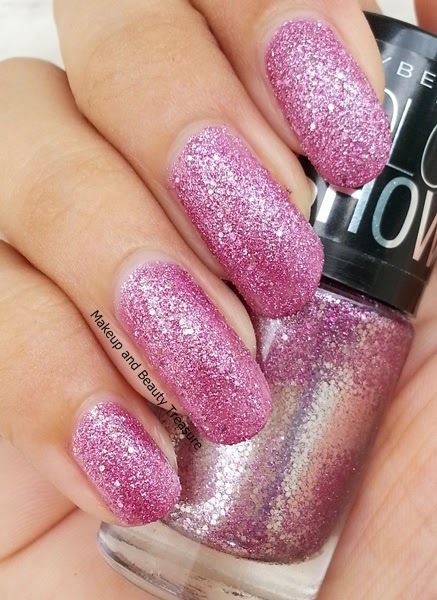 I am totally in love with Maybelline Color Show Glitter Mania Nail Polish in Matinee Mauve. 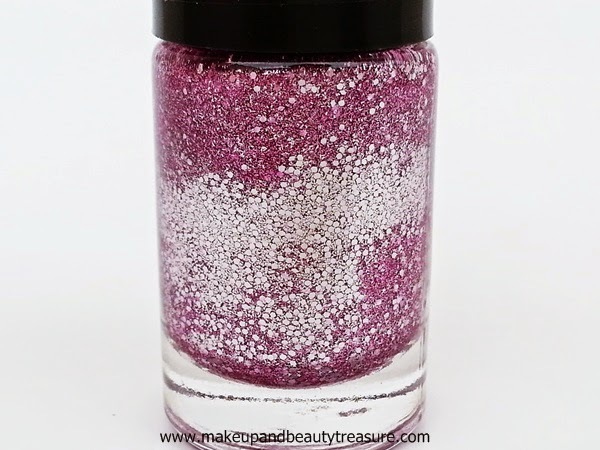 It is a gorgeous pink-ish mauve color with lots of silver glitters infused in it. It has textured finish that makes it all the more unique and classic. Highly recommended to everyone! 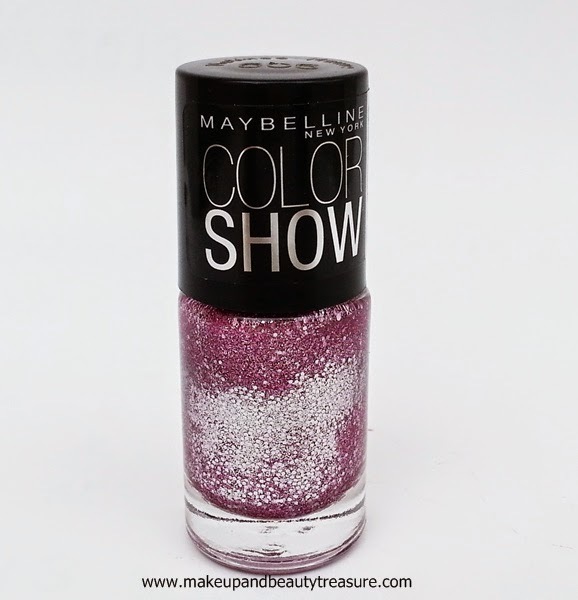 Have you tried Maybelline Color Show Glitter Mania Nail Polish in Matinee Mauve? How was your experience? Share in the comments section below! You must get this n starry nights Purva! Both are super awesome! I love this! It is such a gorgeous shade of pink and I'm loving the sparkles.